From our dentist to our support staff, our team believes that every patient deserves personalized, attentive service. Whether we are providing routine care, treating an emergency situation, or giving you a beautiful new smile, we work our hardest to provide the highest quality dental care while maintaining a relaxing, comfortable, and friendly environment. 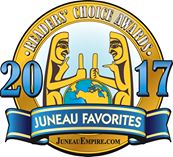 #1 Dental Office in Juneau – Readers Choice Awards – 2 years in a row! When you go to a general dentist in Juneau AK, what kind of service do you expect? We imagine that you probably want to meet with a dentist that is professional, friendly, bilingual, and capable of performing every dental practice with care and high-quality equipment. But that isn’t enough for us. We want to go beyond your expectations and help you with whatever dental concerns you have. Dr. Lee and his staff are very understanding about needs of the individual (personal or otherwise) and are very fast and efficient in their work. They have a sense of humor and patience with each of their clients and make good conversation. I always enjoy my visits to Dr. Lee’s office… Dr. Lee and his staff always provide their clients with the latest dental information, products and new technologies for their dental care. 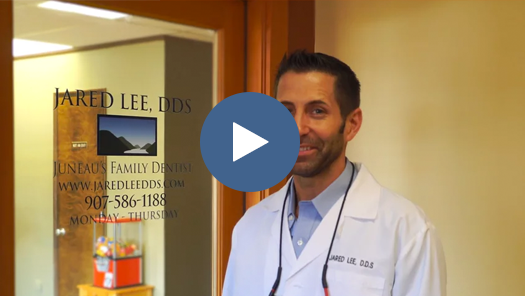 Dr. Lee is so funny and truly cares about your visit!